A Day in the Life of Ace Baxter is featured today over on Dru's Book Musings. Check it out here. Want to learn more about Ace? 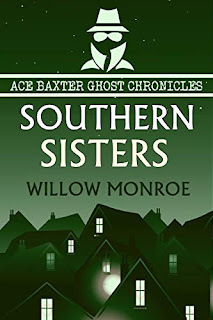 Then check out Southern Sisters, Book 4 in the Ace Baxter Ghost Chronicles Mystery Series. 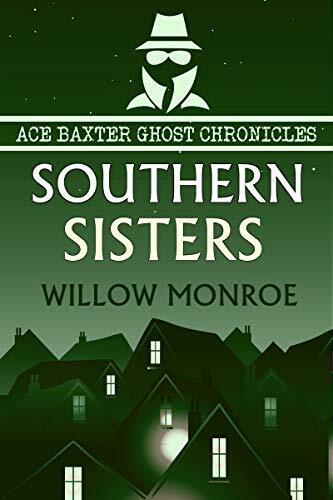 If you enjoy reading about haunted mansions and a semi-retired private investigator that just seems to attract trouble, then Southern Sisters is right up your alley. Ace Baxter’s ghost problem is more than he can handle alone. And now, he’s managed to pick up an extra ghost – some dead dude looking for a coin. Enough is enough, so he calls in reinforcements in the form of a spiritual medium named Chris Mellon - hopefully she can help him shoo the spirit-critters out of his house. But Chris can’t even make a dent in the problem before she’s got troubles of her own – her twin sister has apparently committed suicide. Ace, however, isn’t buying the official story. He suspects the suicide is really a murder, and he also thinks there’s something awfully fishy about the suspect list. When Chris’s fiancé hires him to dig a little deeper, he jumps at the chance. He wants his medium back and his ghosts gone for good. And that coin? Even if Ace can find it, the newest member of his ghostly family may be too smitten with ghostly specter Essie Blackthorn to cross over. . .or maybe he’ll take her with him.